Preparing for your initial or return MHRA GDP inspection? Do you know what you need to do prior to the visit? At Paradigm we prescribe always being inspection/audit ready. Despite being given a two week notice of MHRA inspection it is essential that you remain as up to date as you can at any given point in time. For those of us who are perhaps less ready, what should you be doing in preparation for your MHRA GDP inspection? Inspectors will be looking for compliance with EU Guidance on Good Distribution Practice for medicines for human use, 2013/C 343/01 and will “mark” you against this document. We recommend that you compare your operation against the guidance to ensure you are compliant, at least at a minimum level. Remember – if you have not documented it, you haven’t done it! – Do you have an effective Quality Management System in place? – Do you have an organisation chart that shows responsibilities, delegated duties and deputies? If not, why not? – Are your sales and purchase records ready and available for review? If not onsite or immediately available you risk upsetting your inspector or having a further visit. At £1936 per day, you want as few as possible. – Do you have a description of computerised systems, and any validations? 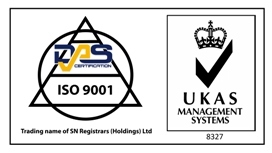 – Are your data loggers, thermometers or monitored alarm systems current, calibrated to three suitable reference points, traceable to individual certificates and a National standard for calibrations? – Are your SOPs current and up to date with 2013/C 343/01? Are they paginated, version controlled and have you made it abundantly clear which documents are active? Has the RP approved them and signed them off? Have your staff been trained against them and is this documented? – Is your backup documented, safe, secure and offsite? Saying “It’s in the cloud…” may be inadvisable, if that’s all you have to say. Leaving a USB pen in the back of your server is also ill-advised. – Do you have failover systems or disaster management plans? – Are your bona fides checks up to date? Do you have the WDA and GDP compliance cert or inspection close out letter for all suppliers, and have appropriate checks been made on customers? – Have you carried out your dummy recall, self inspection and management review? All of which should be carried out at least once per year, but potentially more based on risk. – Is your RP working to the Gold Standard for Responsible Persons? Do they know all of their 12 responsibilities? – Has your RP had GDP Training? All staff must have GDP training prior to commencing their duties, and in particular the RP must be able to evidence competency and knowledge of GDP. – Are your cleaning logs, temperature logs and pest control logs all signed and dated by the RP? Have all deviations been fully investigated and documented? – Is your perimeter clean and clear of rubbish? Are there pest harbourages or ingress points? – Are your deviations, CAPAs and change control processes up to date? – Have you had any complaints? Did you document and resolve them? Worried about your next MHRA inspection and need help preparing? Previous PostPrevious MHRA Inspectorate Blog – New and helpful?